An awkward 16 year old boy stood alone on the dance floor as the rest of the crowd appeared to be dancing around him. That boy was me and this occurred during a DECA (Distributive Education Club of America) convention in upstate NY. I was a small scrawny child who was surrounded by incredible confident/cocky other students from my school district. The loneliness and isolation only built up until that pinnacle dance. 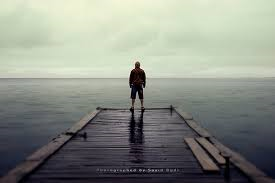 It appeared as if I was standing on the dock and the world was miles away. It felt like I was the only lone boy in the world, then out of know-where a song changed everything. PYT by Michael Jackson starting playing and sure enough a beautiful young lady started dancing with me. We spent the night having a great time and then just like a song she vanished never to be seen again. It was only one dance but it added a bit of confidence that I was surely lacking and whenever that song is played it brings me back to that special moment. I dangle between those that are more traditional and those that are more secular. Today for example I went to services for the 2nd Day of Rosh Hashanah (which nobody in my immediate family attended) and stayed till the final moments but then went to work (which probably nobody in my Shul did). I don’t Pork or Shellfish which goes against my secular friends but will grab a Snack Wrap which my Rabbi’s not fond of. 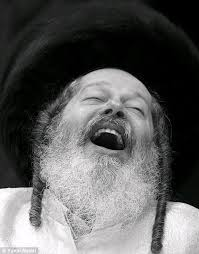 I try my best to follow the teachings of the Torah but have some differences with many of the interpretations. 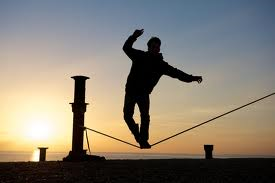 Although once in a while I slip on that tightrope and might need help balancing I believe in general this is the path that G-D has sent me on. Instead of smoking something that you have to light up why not drink something instead. 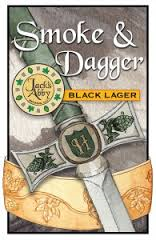 For example Jack’s Abbey Smoke & Dagger has a powerful smoked flavor without breathing in that flavor to your lungs. If you’re not into beer then let me recommend a Scotch I actually enjoy. McClellanda’s Islay Single Malt Scotch Whiskey has such a powerful smoked flavor that many people will feel they had a pack of cigarettes from one shot. Now you can have your smokes and still be around to enjoy them. 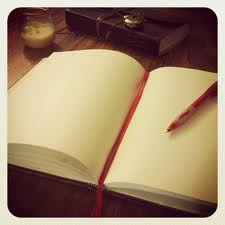 Looking at a blank page and letting the words come out is similar to preparing a dish from scratch. You’re inspired to take this step because you have a clear vision of where it will lead. That vision becomes interrupted when a key ingredient/word is missing and a substitution occurs. You constantly watch the building of this dish/story until it comes to fruition. Then you present it to the world even if that world only includes you to see if it taste, looks and sounds as good as that vision that you had. If it does you wish that others in the world had a bite as well. There is a group of citizens that would love to go to the movies but the movies won’t go to them. A few edits here and there and a blessing (approval) by a Rabbi(s) would bring these films to the traditional Jewish audience and many Christians as well. They could be shown in theaters that observe Kashrut laws so that they could enjoy the food as well. Theaters would be located in areas where the greatest congregation of traditional Jews live or be part of a multiplex that has films and foods geared to such individuals. It’s time movies for the masses should include all the masses. I was on my to helping my friend move some furniture when my GPS decided it was best for me to visit hell instead. My GPS lead me and my son to a short cut down a narrow road in which the rocks became boulders as we kept going further and further down. I stopped and had my son look ahead and he believed it was getting more clear maybe it was dark or maybe these boulders alluded his eyes but I took his advise and continued down this path until the boulders became mountains under my car. It was getting dark and I truly didn’t know where I was neither did “OnStar” then with one cell left on my phone I called 911 and the told me I was at a Jeep training camp in West Point. I guess that explained the boulders. 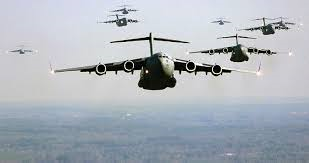 An MP was sent to rescue us but when he saw the pickle we were in even the U.S Military might couldn’t help. He called for a special towing company that came about 2 hours later. The towing company said if they were to pull up my car it would suffer immeasurable damage . It would take a miracle to pull the car up by hand but at this point divine salvation was our only way up. We got down on our knees and prayed like there was no tomorrow and suddenly the force that was impossible was possible and my car survived with a minuscule nick to it’s underbelly. It truly was a miracle and at 2AM I decided that my friends furniture could wait until I bought a new GPS. The faith of the non beliver. Those that claim they don’t have any formal religious beliefs can truly be the most ridged with their own beliefs. This can be shown by the environmentalist, football fanatic or any strong secular pursuit. 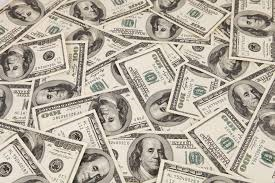 These individuals will spend a great deal of time, money and energy to see their visions come true. They will even miss work on their “holidays” whether it be “Earth Day” or “Opening Day”. Nirvana will occur when their team wins the ultimate trophy or when the world rides horses again. They preach their beliefs to the point of ad nausea either through protests and demonstrations or on ESPN. The difference between those with Secular faiths and those with Spiritual Faiths is that after the game and/or rally is over those with spiritual faiths have a greater place to go and that this cause is much greater then anything then exists here. It is true that a liberal can conduct a more caustic war effectively then those of the conservative persuasion since the media won’t be apt to expose the results of such action. It is also true that when a Conservative seeks peace it is more acceptable to the public because they believe that it is a true peace, not based on giving away pieces. That is why at this exact moment it might be best for President Obama to completely annihilate ISIS and other terrorist elements, so in two years (G-D willing) a Conservative can bring true peace to the region. Mr. President with only two years left in office and no reelection available I and the American people implore you to take off the gloves and give these terrorist where-ever they might live a lot of Shock and Awe. As a new year in the Jewish Calendar approaches I of course want to wish my Jewish L Shana Tova a Happy and Healthy new year yet I want to extend that prayer to all G-D’s children around the world. Rosh Hashanah gives those of the Jewish faith a chance to redeem their sins so that they can be written in the book of life and become closer to G-D before the last day of Yom Kippur where the book starts to close until the end of the fast. We not only ask for forgiveness but need to forgive those who ask as well through words or deeds. Although those not of the faith don’t have to go through the rituals that we practice I still pray that G-D will forgive those who stand with us and let them enjoy a happy and healthy year. 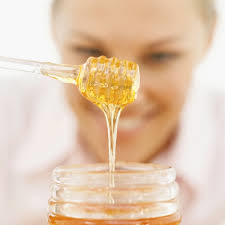 May G-D bring us all closer to his beautiful words and give us a bit more honey in our lives. What if this blog post becomes viral? 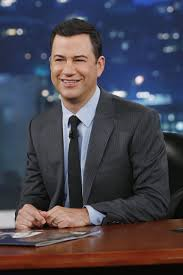 If it became so popular that I’m invited to speak at lectures, write for a major magazine, have my scripts sold for untold amounts and even appear on Jimmy Kimmel. Truth be told one out of the five would be amazing. How would my life truly change? What would that do to my psyche? Would I become complacent and sit on the glory or would I be so worried with what I was writing that I’d have writers stop? Could my ego become so big that I float above the common air with my large nose looking at the clouds or would I get it fixed so only a small nose would be looking that way? Would my writings become bland only to try to keep the helium running or would I dare to create a whole new vector with the success I’ve achieved. I believe that I would withstand the pressure and hype because of the faith I cling too, like my guns. This faith tells me that whatever occurs in my life I can baste in some glory but that it’s truly only because G-D allows that to occur. I might have goals that I seek to accomplish but it is only a blueprint that I work on that must be approved before it truly can be built and this work can be stopped at a moments notice or going to heights never before seen. Yet through it all I’m still on that ground looking up to the one who’s given me all.